Way back in 1856, a California dry-goods merchant named Levi Strauss marveled at a new type of garment created by one of his customers. Working as a tailor in Nevada, the customer had developed a pair of rivet-fastened pants that were far more durable than anything else available at the time. The two soon filed a patent on the product and founded Levi Strauss and Company, the world’s first producer of denim jeans. And while the company continues to thrive more than a century later, the road leading to this success has not always been easy. 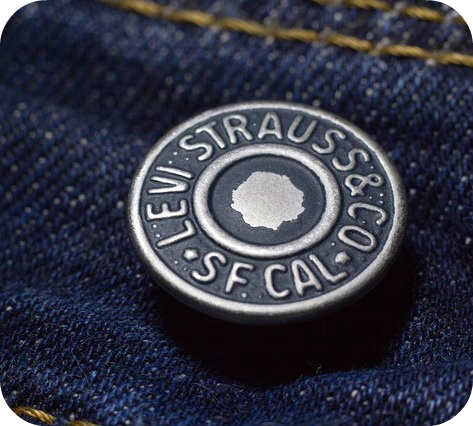 In 1971, for instance, the descendants of Levi Strauss decided to take the company public. But after it stagnated on the stock market, Levi’s once again returned to family ownership along with some other changes. The company started stocking jeans at value retailers such as K-Mart, which increased its customer-base at the expense of making the brand appear less fashion-forward. This hurt Levi’s considerably once “athleisure” became popular in the 2000s. As trendy shoppers switched from blue jeans to items like yoga pants, Levi’s struggled to retain its long-held prestige with customers. That all changed once Charles “Chip” Bergh joined on as CEO. A former executive of Procter & Gamble responsible for launching the Swiffer line of products, Bergh’s mission was to reestablish Levi’s reputation as a fashion brand. “Here you had this incredible, iconic brand – and yet a company that had really faltered for more than a decade,” said Bergh. In response to the rise of athleisure, the company decided to add more stretchy materials to its offerings. This provided customers with the comfort they wanted without sacrificing the natural toughness of denim. Bergh also stopped shipping as much to value stores, choosing instead to stock Levi’s jeans in trendy retail outlets. This includes a new flagship location in Times Square that Levi’s opened up a couple of weeks ago. In fact, things are going so well for the company that it is considering going public once again. If it does, analysts estimate it could be valued at more than $5 billion. What factors caused Levi’s to decline as a brand by the 2000s? How did its new CEO address these problems and set the company back on course? Do you think Levi’s should once again go public on the stock market? Why or why not? Source: Dominic Rushe, “Forever in Blue Jeans? Levi’s Shakes Off Its Troubles by Embracing the Past,” The Guardian, November 17, 2018.